New Making Memories Program | Highfields, Inc. Thanks to a grant from the Lansing Exchange Youth Foundation, residential students and their families spent a day having fun and making memories together! What does a day at the amusement park have to do with the treatment of troubled youth? Perhaps you’ve heard the saying: families that play together stay together. There is research behind that statement. Family recreation can help strengthen family relationships, including problem solving, parent-child bonds, and social support – much needed by the families we serve. However, family time is often lacking when youth are in residential care away from their families. “We are trying to be intentional about helping families create positive memories with one another during this tough time of separation,” said Chris Robinson, Residential Director. Highfields developed a new Making Memories Program to focus on family-driven treatment for students. This year, families went to Michigan’s Adventure for a day of family bonding, treatment, and most of all – fun! Over 50 people participated in the program, including students, parents, and siblings. Highfields staff was available during the day to support families and help with treatment when needed. 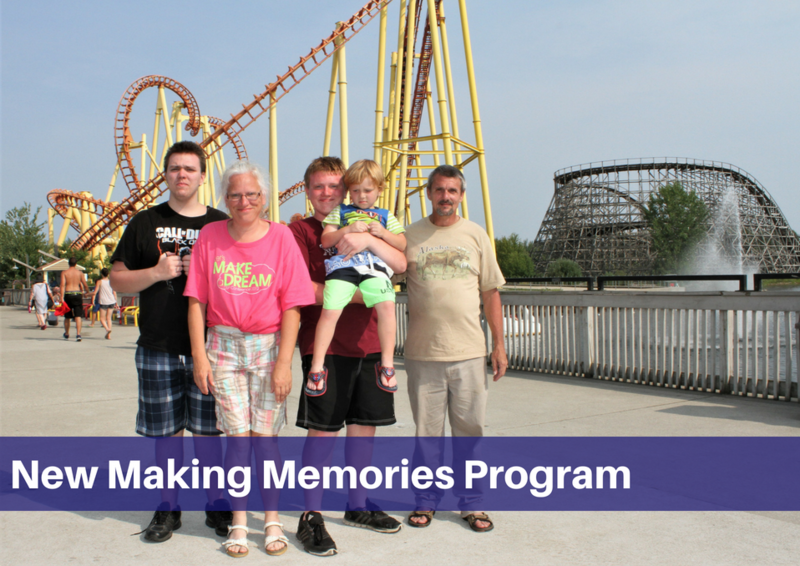 The Making Memories Program helped strengthen family relationships and improve communication skills. It allowed students and their families a fun day of being a family and it provided insight for our counselors into family dynamics. We look forward to continuing the program in the future.